Mazi’s practice involves the continuous collection of objects and materials for their colour, shape, texture while usually ignoring their inherant functionality. This work is an assemblage of collected objects, fabrics, acrylic paintings and digital photos. OPS is an acronym standing for Objects of a Purpleless Society, because this installation is intentionally purpleless. In addition to this formal choice, this title is a deliberate play on words where purpleless could be replaced by purposeless (‘Objects of a Purposeless Society’). Much of the objects are removed from their original function, especially in the new context they are displayed in. From tiny scissors, to baskets with holes, to shelves that are weak, but sleek, to tiny garbage cans, dish grips ect. and books that you cannot read, the domestic context the viewer finds themselves in is familiar, but ultimately useless. 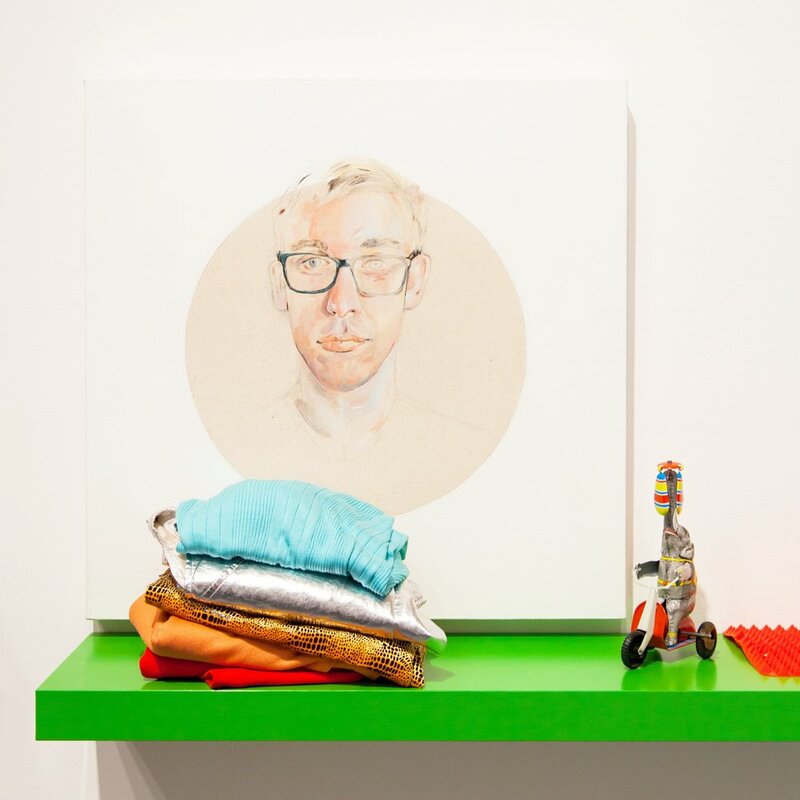 The figurative paintings fluctuate in completeness often are transformed to everyday objects themselves. They blend into the gallery walls attempting to create more space, while creating less space. This work moves beyond formalism and largely asks, what does it means to be surrounded by an artificial and useless display of stuff?